UW Station stairs now always open. Latest Bike Master Plan is substantially less ambitious. ECB with more. The backlash is immediate. ST Board not wild about current fare enforcement policy. Kent Maintenance Facility battle escalates to the dueling consultant phase. House approves highway-intensive 2019-21 transportation budget. Praise for hero Metro driver. With more supply coming online, rents are continuing to stabilize. Better access to Roosevelt Station. More double-decker buses coming to ST.
USDOT funding formulae might get better. Uber running minibuses in the developing world. The Green New Deal must prioritize transit. NYC finally getting congestion pricing ($) in 2021. MTA trying to figure out the right framework for fares. My thoughts here. Somebody said Sound Transit paid extra to get exclusive use of the Seattle transit tunnel two years before Northgate Link opens. How much did it pay for the DSTT? “Somebody” said that? Who? Metro sold Convention Place station and closed it early on their own accord, as far as I know ST had nothing to do with it. So King County just gave Sound Transit exclusive use of the DSTT — Sound Transit didn’t pay for exclusive use? I thought the original deal was Sound Transit was going to pay several hundred million and take over King County’s debt obligations for both the tunnel work in the 1980’s and the 2004 reworking needed for rail installation. Isn’t that how Sound Transit obtained its exclusive use and control of the DSTT? King County didn’t just give away the DSTT. I have never heard of ST paying for the tunnel. In any event, the only reason that ST has exclusive rights to the tunnel right now is because of the convention center expansion. In other words, the county did not sell off the rights to the tunnel, the county simply decided that expanding a convention center was more important than saving lots of bus riders a lot of time. Gerry you’re correct ST is buying the tunnel from Metro but they didn’t ‘pay for exclusive use’ when it was Metro’s sole decision to remove buses early. They could have waited a few more years to sell Convention Place but King County and the City of Seattle want the new convention center. Sound Transit benefits from buses leaving the tunnel but it wasn’t their decision to remove buses. I’m still interested who this “somebody” is. The DSTT debt is paid off in 2019. ST pays for a share of DSTT debt & operating costs each year, based upon share of ridership in the tunnel. Gerry’s “several hundred million” might be referring to ST’s share of DSTT expenses since joint operations began, though “several hundred million” seems like an over estimate. Also, I’d imagine ST paid for the 2004 rebuild since that was a part of the original Central Link alignment. I believe RossB pretty much nailed it. ST basically got the tunnel for free. Of course they paid for putting in Link and they shared operating cost when it was dual mode. I guess Metro is “off the hook” now for paying any further operating cost but what the tax payers of King County should have gotten was a chunk of the ST pot of gold that paid for a new bus tunnel. It’s a minority of King County tax payers that use transit (arguably all benefit from it) but it’s a small minority of transit users that benefit from Link. The tunnel contains real estate and fixtures. King County didn’t just donate those to ST; it sold them. ST avoided much of the debt by limiting the number of trains and STEX buses in it. That was one reason ST didn’t increase the 550 as much as it could have, and run it frequent on Sundays. The biggest advantage ST got was the fact that the tunnel was built a generation before ST, when costs were lower, and when the early debt was paid off. The tunnel cost was around $200 million. If ST1 had had to build a new tunnel, it would have cost a billion dollars and risen the tax rate that much, which might have been enough for it to be voted down. People are more accepting of rail when it’s already running in their community and they can ride it and see how it can benefit them. 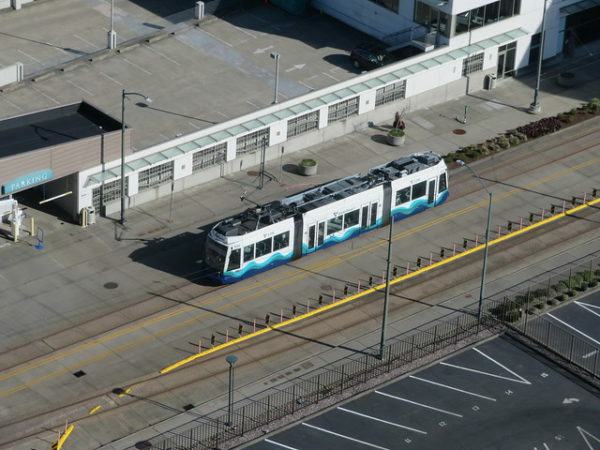 Before that they’re more skeptical, as in the widespread opposition to light rail in Rainier Valley before it opened and in the first few years, which has now practically evaporated. Sure the tunnel cost less when it was built. That’s the reverse of what ST does when they promise X for $.00 and then say well yeah that was then and this is now. Bottom line is, they took the bus tunnel and they should be on the hook to replace it. That includes the cost of disrupting DT whereever they put it and whereever that is it needs to provide the same level of service of the bus tunnel they “inherited”. Your remarks about how it was easier to “sell” this to the public are spot on; it’s called bait and switch. You have a funny way of looking at the DSTT. Link was the culmination of what it was built for, a kind ot phase 2. A bus tunnel doesn’t help your total trip if the bus gets stuck on congested freeways or poky surface streets when it leaves the short tunnel. If you live in an area where a bus went but Link won’t, I’m sorry you don’t live in one of the highest-population areas, but high-capacity transit needs to focus on where the bulk of people are coming from. The idea that losing the bus tunnel would be a reason to reject Link feels like a major step backward, like rejecting Forward Thrust. “That would make my next thirty years as bad as my last thirty years. Maybe I do need to move to Chicago or some place that takes transit seriously.” I rode the 71/72/73, 550, 194, 41, etc, and they were not great, just better than what we had before. As for ST replacing the bus tunnel, as you know ST is not a billionaire philanthropist, the money would come from us. We can put it into a replacement bus tunnel or we can put it into something better. Does anyone know why and/or when they turned off the Wifi in the DSTT? Tunnel Wifi was provided by King County Metro. Now that they are no longer in the tunnel it probably was turned off then. Good thing they didn’t turn off the lights! Well of course it works! DUH… gaining public acceptance, well that’s a different story. I’m really irritated by the “free market” imposters who sounding like “progressives” when it hits them in the wallet.